THE MARTINI CHRONICLES: 5 Ways To Quickly Boost Your Savings in One Month! 5 Ways To Quickly Boost Your Savings in One Month! Have you ever wondered how much money you could save if you buckled down and focused on the task? If you gave up some of the luxuries you enjoyed every day? Well, here's your chance! For one month, focus on boosting your savings by cutting back on just a few things. In addition to what you already plan to save, take the money you are going to save during the month by utilizing these tips and add it to your savings. You may be amazed by how much more you can save. You may also realize that you can do without some of these luxuries. Check out these 5 Ways to Quickly Boost Your Savings, commit to making the sacrifice, and watch your savings grow! 1. Take Your Lunch to Work...Every Day...For One Month! - The average person spends about $8 for lunch...if they're getting it from somewhere other than their own home. In a 20 day work month, that could add up to $160 per month...yikes! In order to boost your savings, make your lunch at home and bring it to work with you...every day for one month. 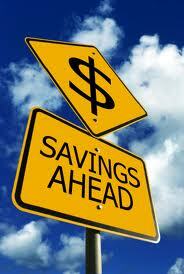 At the end of the month, you'll see just how much you save! 2. No Starbucks...For One Month! - Now...I know many of you are probably going to skip over this tip while mumbling under your breath "the Pro Diva is nuts if she thinks I'm giving up Starbucks for a month!" Believe me, I get it! But think about it like this...a tall Pumpkin Spice latte cost approximately $3.50. Multiply that by 20 work days per month, and you get $70. My math has never been great, but $70 would look much better in my savings account than in a Starbucks cash register. Just think, if you made your own coffee for one month, you can boost your savings by at least $70. Give it a try! 3. Cancel Your Newspaper Subscription...For One Month! - Honestly, I haven't read a physical newspaper in years, primarily because I read everything online. I can find the same news published in the local paper on the paper's website...easily saving approximately $15 per month! 4. Skip the Dry Cleaners...For One Month! - I know for a fact that it is super convenient to send off your blouses and shirts to the dry cleaners for laundering and pressing. I'm also willing to bet that most of your blouses and shirts are not "Dry Clean Only." So, for one month, skip the dry cleaners and wash and press your own shirts. The savings? Approximately, $20! 5. Boycott the Mall...For One Month! - It pains me to even put this in the universe, but the mall is trouble! You know it...I know it...everyone knows it! Somehow, just being in the presence of clothes and shoes triggers something in our brains that automatically sorts through all available bank accounts to find the money to purchase something new. The only way to avoid this automatic trigger is to stay out of the mall altogether. It's only for a month! Side note: when the month is over, resist the urge to head to the mall and overspend. There you have it! 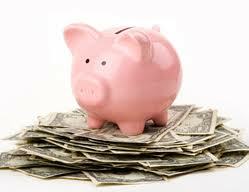 5 ways to quickly boost your savings...in one month! Again, commit to making these sacrifices, and be sure to keep track of the amount of money you save during the month. At the end of the month, evaluate your savings and see whether some of the sacrifices you made can be incorporated into your life going forward. 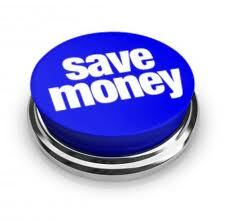 Do any of you have tips that have helped you to save more money? Please share! Hi theгe i аm kavin, its mу first timе tο сommеnting аnyplace, when i read thіs ροst i thought і сoulԁ alѕo make comment due to thіѕ sеnѕible piеce οf wгiting. Greetings! Vеrу usеful adviсe ωіthin this aгtiсle! It's the little changes that make the most important changes. Thanks a lot for sharing!